All around the world, on coastlines stretching for as far as the eye can see, lighthouses have given guidance and protection for those commanding vessels across the seas of the world. Today, according to Lighthouse Directory, there are more than 20,400 lighthouses worldwide. Early lighthouses gave protection from fog, reefs, and other elements of the coastline that could cause a ship harm. Prior to the advent of electricity, large fires were lit to advise ship captains to avoid the dangers of a nearby coastline. Some even used early forms of light refraction to make the light spread farther out to see – mirrors were used in some cases, but in many it was actually metal polished to a shine that was used as mirrors were not as easily come by as they are today. Electricity and the light bulb paved the way for current lighthouses – the rotating beam of light that is done with some creative positioning of mirrors, glass and a motor to spin a curved mirror in a circle around the light bulb. This effect channels the light outwards in a beam, rotating around and around to catch the eye, and help the light pierce the fog. Since today is Lighthouse Day, go and see a lighthouse or two. Visit and see about understanding what the lighthouse specifically protected against – was it just fog and to alert captains of land close by, or are there rocks in shallow water, reefs of danger just beneath the soft waves, or maybe a more disastrous effect, like whirlpools or cliff edges instead of a port? 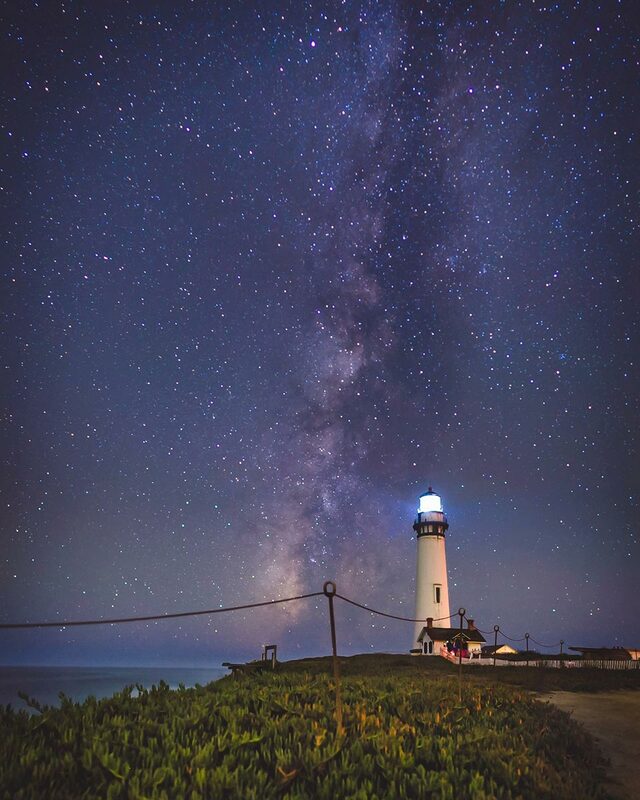 Photographer Rodrigo Soares from the San Francisco Bay Area captured these images of lighthouses along the California coast. You can see more of Rodrigo’s work on Instagram or follow him on Twitter. 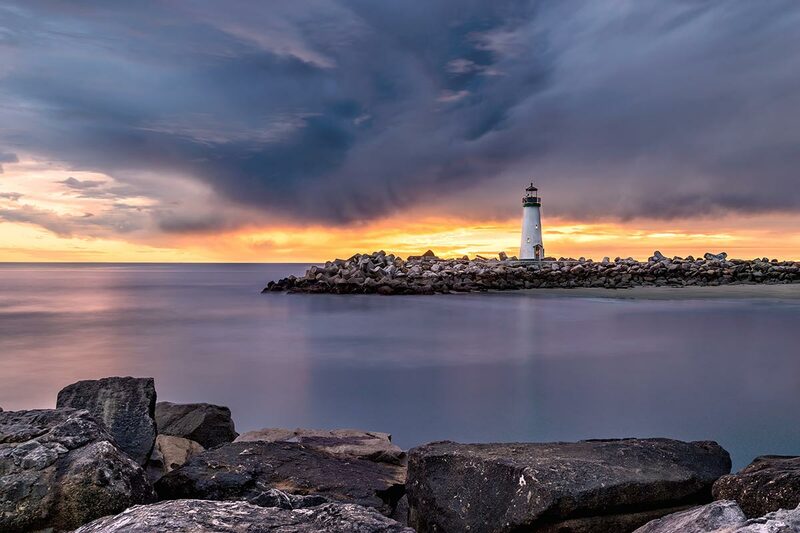 The featured image is of the Walton Lighthouse in Santa Cruz, California.